The captain of your yacht is in charge of all aspects of the yacht and is responsible for the safety of the yacht and everyone onboard. Beyond that, he is committed to making your dream become a reality and works with his professional crew to surpass your expectations. He knows his seafaring vessel inside and out as well as the waters in which you are cruising. As skipper and commander, the captain is a highly skilled professional and manager. A yacht captain has boundless energy and an engaging, cool-headed presence. Among the professional crew aboard a yacht, your chef will become your new best friend. Prior to your charter, she will have carefully reviewed all of your requests, allergies, and dislikes and will craft a menu to suit the palates of everyone in your party. Once under sail, the magic begins. Imagine champagne and hors d'oeuvres as a prelude to a romantic candlelit dinner prepared by a Michelin-starred chef. Expect delightful picnic hampers to enjoy on a blanket at a deserted beach. Count on creativity for finicky young eaters and worry-free menus for any type of special dietary requirements. When to dine and what's being served is entirely up to you. Expect perfection from your sailing and motor yacht crew members. A highly detail-oriented professional crew member will look after every aspect of the yacht's immaculate spaces. From fresh flowers on a perfectly-laid breakfast table to the chocolate left by your pillow at night, a yacht stew rises early and retires late to ensure the comfort of those on board. The stews will quickly know how you like your coffee, what newspaper you want delivered to your cabin in the morning, and whether to plan an afternoon snack for you. The “stews” are the party planners, creating extraordinary themes for an evening’s entertainment. Beyond looking after the yacht's water toys, jet skis and tender boats, guests may see little of the engineer, the unsung hero that keeps everything shipshape so that the fun is never interrupted. 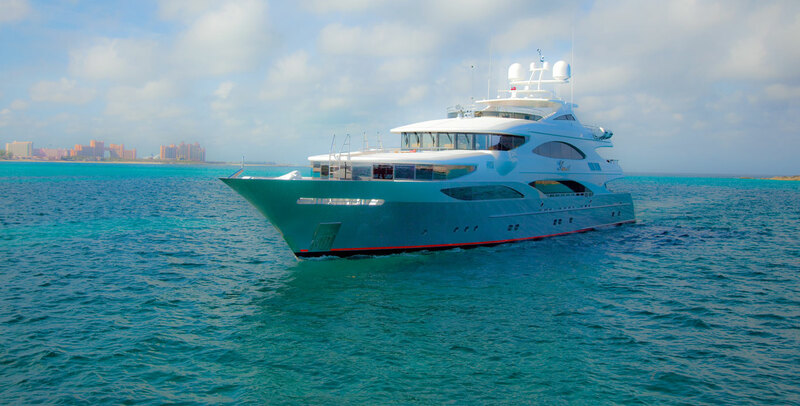 These motor yacht crew members are responsible for keeping the engine in tip-top condition, as well as all systems, including electrics, plumbing, refrigeration and air conditioning. The on-deck professional crew keeps a glamorous yacht looking that way, from maintaining sails, ropes and winches to the satin finish varnish of teak wood trim to polishing the stainless. The deck hands also assist with water toys, tenders, and bartending. As a professional crew , they are dedicated to creating a seamless once-in-a-lifetime experience for your group.